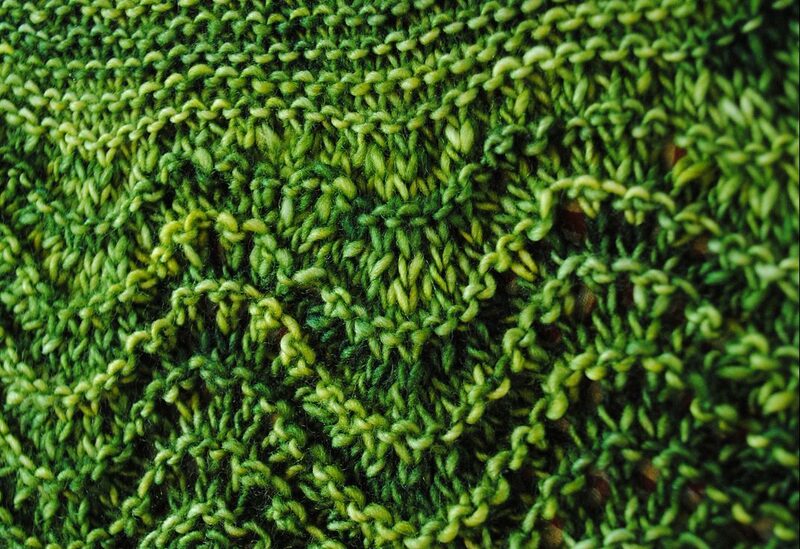 Complex Knitting & Critical Instructional Design: A Problem Solving Mindset written by ODL’s Sonja Burrows delves into the similarities between instructional design and knitting. She explains that connections between “textiles created with this natural fiber” and “learning spaces created in the digital environment” are about process and inspiration. Sonja tells us of the role knitting played in her childhood and a sad story about an extremely difficult knitting task taken on twice! The story is told to illustrate a process engaged with every day as a critical instructional designer. Critical instructional design work invites a constant problem-solving mindset, through a process driven by a deep commitment to seeing projects through to completion, by a willingness to persevere through seemingly-insurmountable obstacles, by an inspiration and a love of learning new things, and (perhaps most importantly) by an excitement and joy about the value and beauty of the work. Sonja goes on to explain that in instructional design, “sometimes you have to make the darned thing twice” which is exactly what happened with the BOLD Scholars page. The hub had to be redesigned to match the needs and activities of the scholars. Flexibility and humility serve both the instructional designer and the knitter. Read Complex Knitting & Critical Instructional Design: A Problem Solving Mindset here. MiddCORE Winter Immersion is a Vermont-based winter-term immersion program offered to students at Middlebury College. It is a mentor-driven, experiential-learning program that builds skills, creates opportunities, and expands networks for tomorrow’s leaders and innovators. Through daily, weekly, and month-long challenges, students gain experience in leadership, strategic thinking, idea creation, collaboration, persuasive communication, ethical decision-making, cross-cultural understanding, conflict resolution, empathy, and crisis management. A key component of the MiddCORE experience is the mentors. MiddCORE mentors develop hands-on challenges that inspire students to think creatively, operate outside their comfort zone, and deal with ambiguity. Amy Collier will be one of the many mentors this Winter. Amy will be leading two sessions on digital fluency in which they will be exploring how memes spread on the internet, as a way to understand the power of digital rhetoric and platforms. Amy believes that by applying a critical lens to digital platforms, we can begin to resist some of the maneuvers they use to manipulate and profit off of us, while continuing to participate in those digital spheres as we deem appropriate. MiddCreate Spotlight is ODL’s newest blog series that features interesting MiddCreate sites created by Middlebury students, faculty or programs outside of the Office of Digital Learning. MiddCreate is an initiative at Middlebury that offers faculty, staff, and students their own subdomain spaces and easy installation of open-source applications such as WordPress, ownCloud, MediaWiki, Drupal, Known, Scalar, and Omeka, among others. 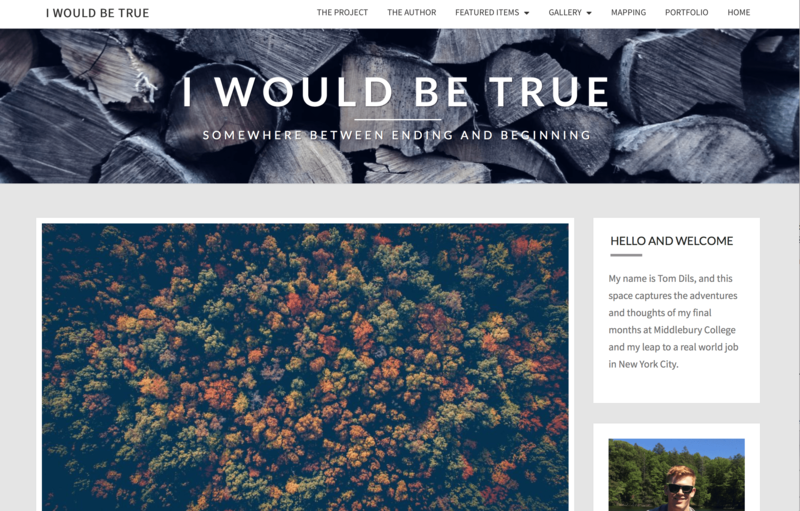 Earlier this week, we highlighted a MiddCreate site created by Tom Dils, a Middlebury College graduate. The Office of Digital Learning encourages our readers to check-out Tom’s MiddCreate site here. Look out for more amazing MiddCreate sites! The This Week in ODL blog series is taking a break until the new year. See you then! Tips for a Personal Website – MIIS Digital Learning Commons on How is MiddCreate different from hosted blog environments?